A New Chrishall Conservatory Addition Looks Original. 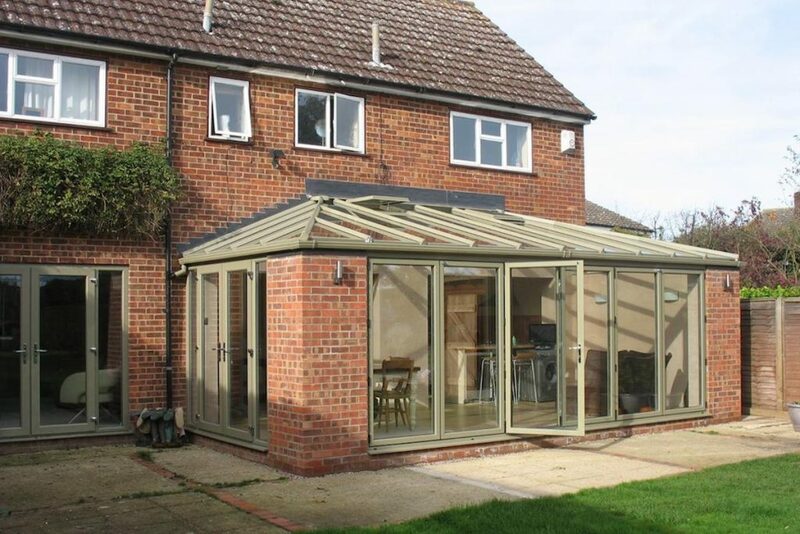 Some people want their new conservatory to look different to their home and provide a contrast. And others want their new conservatory to look like it was built at the same time as the house. The owners of this Chrishall property were hoping for a bit of both! Their existing brick detached house was large but it just didn’t give them the modern lifestyle they wanted. They wanted to create an open plan feel that would enable the family to cook, eat and sit together on a daily basis. They also wanted to feel like they had a connection to the garden where the children played not only from the new spaces they were looking to build, but also from their existing living room. And they wanted a separate laundry room. A big wish list but their discussions with the Cambridge Conservatory Centre provided the perfect solution. 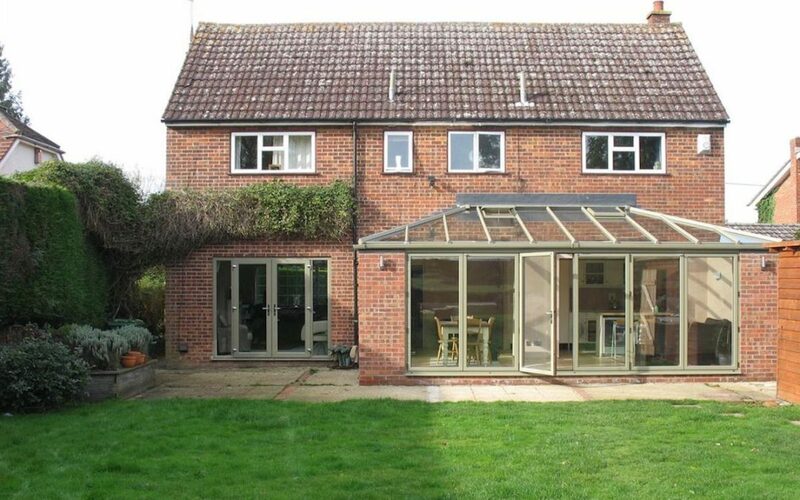 We designed a conservatory extension that ticked all the boxes and more. We started by building a brick structure that perfectly matched the brick on the main house and extended to the side and the back of the house. The side extension housed a new laundry room that could be accessed from the new kitchen. We also built a brick corner that would form the other end of the room. Once the brick framework was in place, we were able to insert two sets of bi-folding doors to completely open the space to the outdoors. 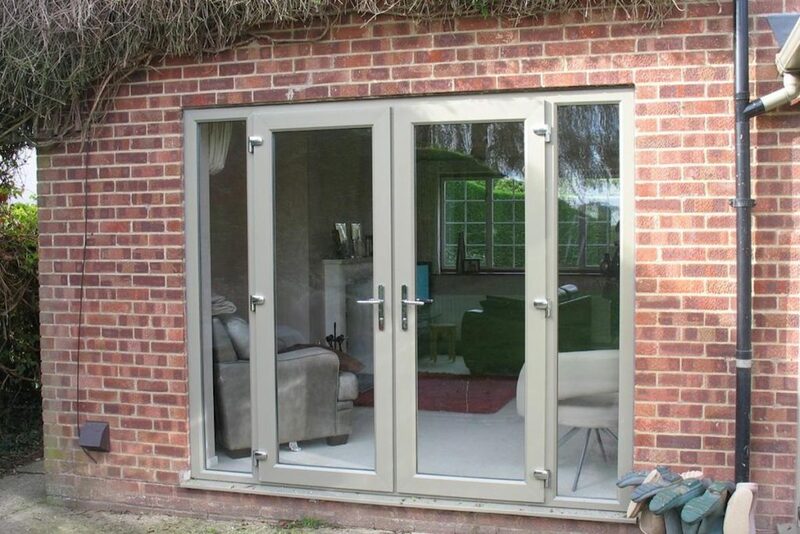 The fully glazed lean to hipped roof was then constructed to sit on top of the brick frame. The result is a fabulous garden room/conservatory that perfectly matches the house and the lifestyle the owners were looking for. And the finishing touch? We added yet another set of bi-folding doors to the existing living room in effect opening up the entire back face of the house. The owners asked for a new laundry room, an open plan space to cook, eat and sit, connection to the garden and a way to open up the existing living room. This new Chrishall Conservatory certainly delivers on all of this. But more than that. It also gives a whole new feel to the home both inside and outside while looking like it’s always been there. The owners are delighted and so are we!